Getting internal organizational culture and practice right is not a nice-to-have extra — it’s a prerequisite for being an effective funder and organization. Yet, foundations often prioritize strategy development and assume that culture will take care of itself. In this webinar, we will tell the story of how a new foundation – Headwaters Foundation in Missoula, Montana – set out to build a strong, healthy, and resilient culture that could fully support the work it needed to do. We will share why culture building was important, the resources needed to do it well, and how external consulting and facilitation helped strengthen empathy and understanding among the team and establish protocols that can be used again and again. 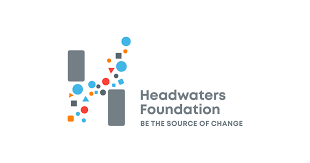 During this webinar, Headwaters CEO, Brenda Solorzano and philanthropy consultant Jessica Bearman (Bearman Consulting, LLC) will give a candid look under the hood of this work and share concrete, practical strategies to help organizations translate deeply held values into enduring operating principles essential to moving your foundation’s strategy. *Purchase of a 2 or 3 webinar package allows the buyer to attend this plus additional NNCG webinar(s) for up to 1 year from purchase date. Please email lori.jane@nncg.org with your additional selections. NNCG is a learning community and forum for open discussion among consultants dedicated to strengthening philanthropy and increasing its impact. NNCG membership is open to experienced independent philanthropy consultants and firms serving grantmakers.